Posted on November 25, 2012 November 25, 2012 by catherinedaze	This entry was posted in Burda 104-12-2011 coat, dressmaking, Fabric, patterns, planning, sewing and tagged coat, dressmaking, fabric, sewing. Bookmark the permalink. I think the Lady Grey will look STUNNING in your green fabric! Nothing wrong with changing your mind especially if you are going to end up with two great makes. Unfortunately I keep changing my mind so much that I end up not making anything. You know, your new plans sounds like great ideas. hahaha, nice! Totally agree with you on using the chartreuse for a pattern with a bit more … dramatic flair to it =D Can’t wait. Two rockin’ coats are on tap at your house!!! I am especially loving the green/pink color combo. Thank you for your kind words about my jeans!! Fabulous colour fabric. Occupying yourself with two coats is probably a good use of winter sewing time. Wearing the same coat day in day out can be kind of depressing when the weather is bleak. Ha! There I was, minding my own business, reading your interview, when suddenly my name pops up! Thanks!! Thanks for the compliment. And I loved reading your interview. It was very interesting. Have I told you about my new golden C3PO trousers I bought the other day? Must blog them soon, hehe! I think you are right about your coat. I usually like bright colours for garments, especially outer wear, but I think your coat will look sharp and understated in the stone. Great decision! I am having some serious indecision over the colour of my coat, too. I have been bothering my other half with it all weekend. I should blog it really but I am painting the house right now (or should be). I just read your interview on Stitch and Witter and was very glad to discover your blog! Your style is wonderful. That being said, your face seemed familiar and I now realise it’s from seeing your work on Burda style. 🙂 I look forward to following your progress! Isn’t it interesting how it takes a while to figure out why you feel one way or another about a project? Oftentimes I get stuck and have no idea why so I salute your realisation. And choice of fabric too BTW. 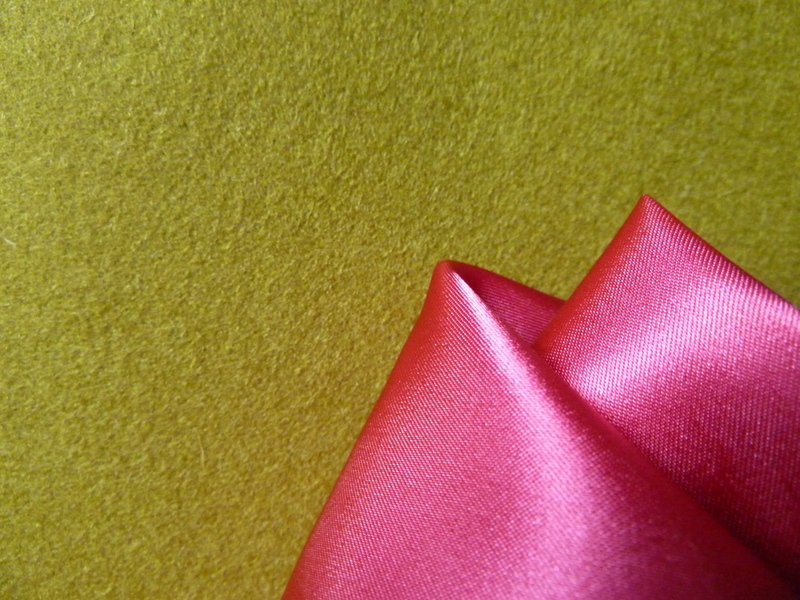 You’ve inadvertently picked two colours that I love seeing together… I have a huge ‘thing’ for that delicious mustard colour… and the texture of your fabric choice looks just as good. I agree with you though… I would be hesitant to use such a colour on a substantial garment like this… it really is more suited to a blazer. Curious – how tall are you? I ask because looking at you is like looking at my twin! I’m tall, not quite as skinny as I used to be … ahem…. but I look at what you like and think “hey, that might work on me also!” probably because we have the same build. Great idea re: the two coats! I love both of your pattern and coat choices. I look forward to seeing the two as they progress! Yep – I thought so!! I am 5′ 9.5″ or so, and am very long-waisted also. I had to look long and hard to find a dress form that could stretch to a long-enough torso. No wonder looking at you is liking looking in a mirror! LOL! Hubby and I are the same height (maybe I’m a hair taller, depends on the day). But… after he drives a car I can’t reach the pedals! I drive and he can’t get in the seat because I pull the seat so far up to be able to reach them. All because we are proportioned so differently. These sound like great plans. Your coat toile is looking really good by the way. 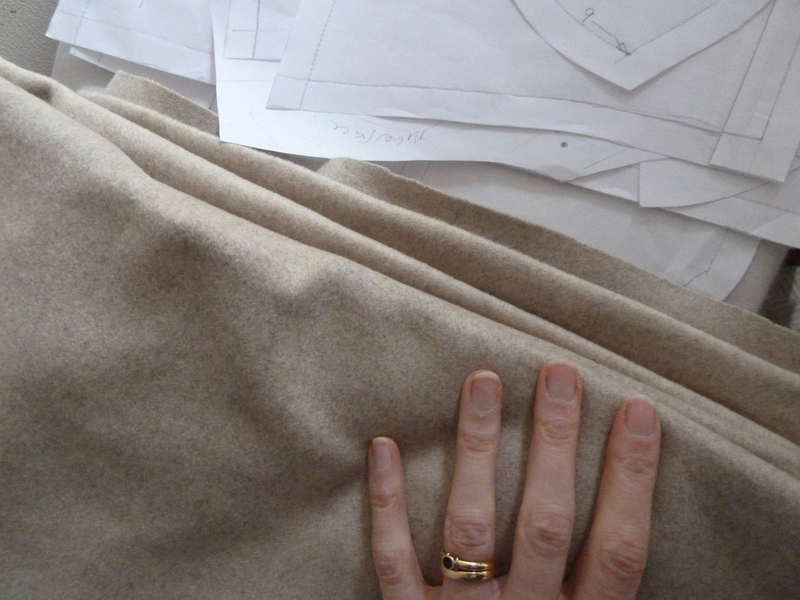 I’ve just emerged shakily from coat construction, so you want to make two? Bon courage! I bought some coat weight natural white wool from Whaleys once, they usually keep a range of fabrics for dying and printing..